The aspirational level of a normal individual has gone higher just like the high cost of living in most of the cities. A simple dream like buying your dream car or buying your house involves lakhs of rupees. One has to earn exceptionally well to achieve these goals in short-term or the other way is to strategically plan your financial goals. And the second route always works for most of the people especially in the beginning of your career. The first step is to draw a budget and start saving from your income. Note down all the expenses incurred on monthly basis on a notepad, excel sheet or in your smartphone. This will help you to track your spending on various heads. After a month or two you will understand your spending pattern and thus you can cut down excess expenses. The next step is to set a financial goal. Saving money without any goal can be demotivating. For example, if you want to travel abroad or buy a new phone or a new car, your financial goals should match up with your personal goals. Write down your goals and allot money monthly as required. The third thing you can do is invest your money wisely. Instead of keeping the money in your bank you can make your money work for you. You can opt for securities such as mutual funds, stocks or policies which gives good returns. With thorough research you can invest your money as per your wish and requirement. 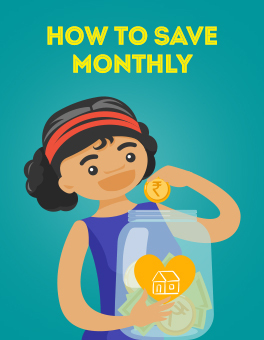 Make this as your automatic savings, this means you can choose how much money, when and where it will get transferred monthly. In emergency situations, like medical bills or any other unplanned event, instead of taking out money from your long-term investment and hamper your future plans you can take a quick loan from online loan companies. These financial platforms also known as Loan apps, that asks for less paperwork and the process is speedy compared to traditional institutions. 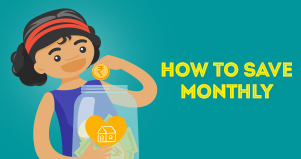 You can borrow money ranging from ₹20,000 to ₹1 to 2 lakhs. The duration can be 15, 30, 90, 180 or 360 days as per your convenience. You will have to submit your documents to prove your identity, address, and income. The valid documents include aadhar card, pan card, passport, utility bills, rental agreement, salary slips, and your bank statement. Once you submit your request from your smartphone, the app will then review your loan request. The online loan companies transfer the loan amount directly into your personal savings account. This will keep your financial and personal goal intact. One of the important things to remember while planning your finances is the 50-30-20 rule. 50 includes your basic needs like traveling, groceries, rent, utilities, and car payments and so on. 30 includes your discretionary items. This will include your wants like shopping, dining out, hobbies and other social appearances. And the last part is 20, you should at least spend 20% of your salary towards savings or investments and plan for your future.